If news breaks we may actually be the last ones to know about it. Rest assured if we figure out what's going on with the author we'll post it here. Bryan will be appearing at Indy PopCon in June of 2015. More dates/conventions to come! 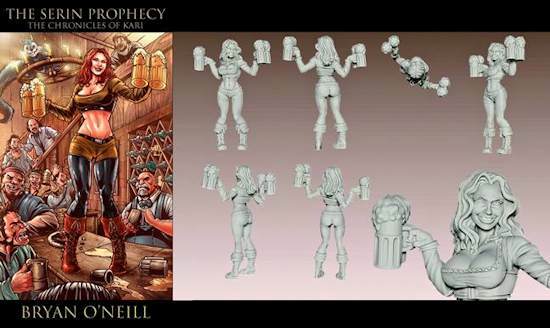 June 8, 2014 - Kari is being turned into a miniature by Impact Miniatures. It should be coming out sometime in 2015.